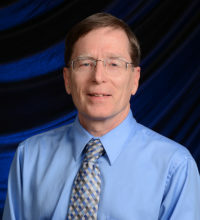 Dr. Reginald Finger is Assistant Professor in the School of Health Sciences at Indiana Wesleyan University, teaching biostatistics, epidemiology, and supervising student public health research projects. Dr. Finger has worked as a public health physician, medical policy analyst, and medical researcher in several different settings. He served a three-year term on the Advisory Committee on Immunization Practices of the federal Centers for Disease Control and Prevention, where his lead assignment was to oversee the development and publication of guidelines for use of the meningococcal meningitis vaccine. Dr. Finger has worked with the National Embryo Donation Center, Knoxville, Tennessee, which aims to promote embryo adoption as the solution of choice for embryos remaining from infertility treatment procedures. Among Dr. Finger’s current research interests is the integration of Biblical scriptures into the teaching of the health sciences. He holds a B.A. in mathematics from Northwest Nazarene College and the Doctor of Medicine and Master of Public Health degrees from the University of Washington in Seattle.